With the development of business and the market, many companies find themselves in a situation where they need to find a new warehouse location. The reason for such action is usually either the insufficient capacity of existing warehouses or the need to move the distribution center closer to customers. The latter was the case of a client who asked us for analysis of optimal location for his new warehouse. 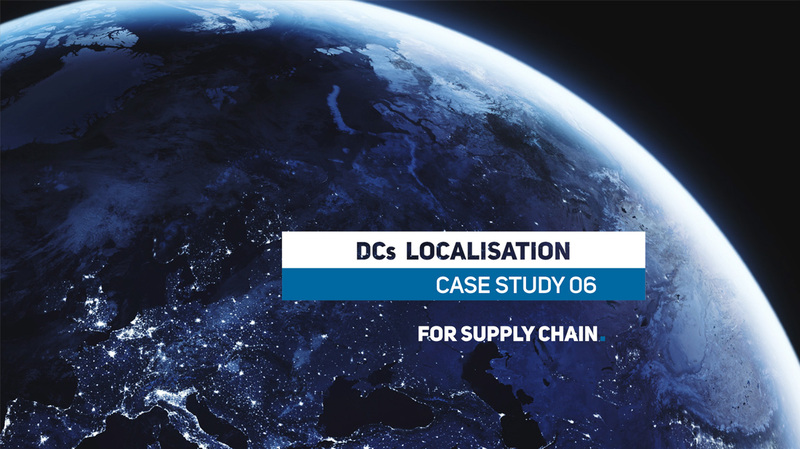 The client was searching for a location of his distribution center in a country where a large number of customers with the largest volume of orders were concentrated in the east and northeast part of the country. But the central distribution warehouse was located near the capital city in another part of the country. Proximity to key customers from the capital city was no longer an advantage with regard to costs of distribution to customers in more distant parts of the country. Establishing a new distribution center further to the north was a clear solution in this situation. Our task was to analyse how beneficial this solution would be and where the new distribution centre should be located. On the basis of a detailed analysis of data about shipments during a representative period of time we monitored the current situation. 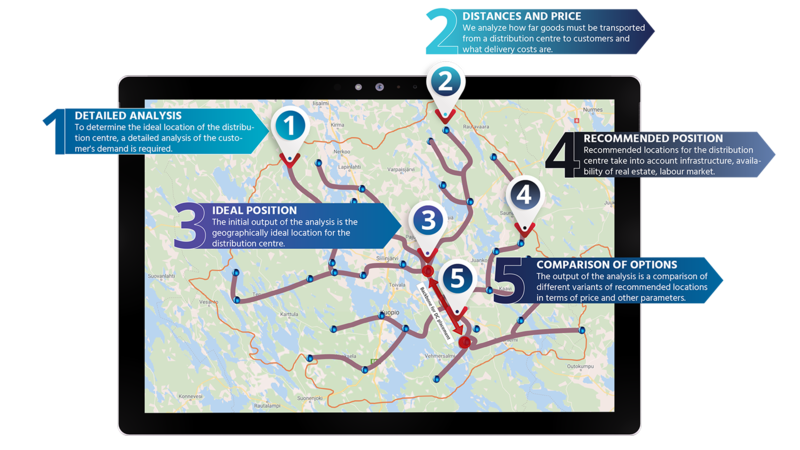 Subsequently, we calculated the ideal location of the distribution center in terms of distance to customers. Geographically, the ideal point was outside areas with built-in logistics infrastructure. We identified two closest potential locations for the distribution centre, each located in a different direction from the ideal point. For the selected locations, we calculated the distance to all customers and distribution costs. Then we compared them with the current state. Based on the results we suggested that an area alongside a particular section of one of the main motorways in the country would be optimal for placement of the new distribution center. With our recommendation, the client proceeded to searching for particular property in the area. We offer a wide range of services in the area of network modeling. Our other case studies include a Complex Network Study, New Model of Distribution Network or Optimization of Regional Distribution.